We can work together in three ways. You can choose one or all three. 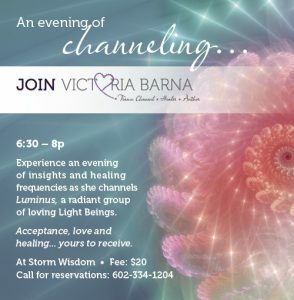 Private Sessions, Group Events, or Shop for Books and/or CD’s to support and inspire you as you change and transform! I’m here to help you through all of the stages of YOU awakening to your true nature – a spiritual being having a human experience! Accepting you, loving you, and being compassionate with yourself is key! Exploring and releasing any resistance to being the “BEST YOU” is my passion! How does this happen? 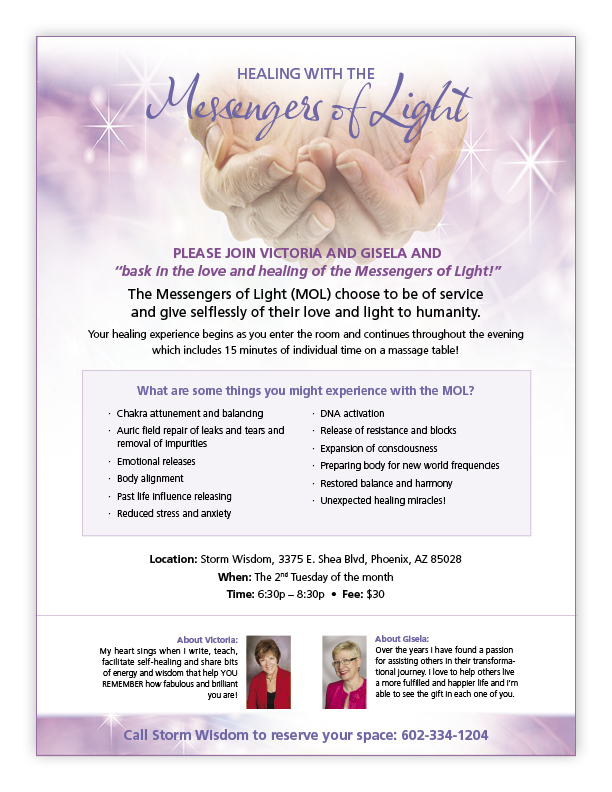 Through channeled guidance from Luminus and other unseen friends as well as healing with the Messengers of Light! We co-create a new reality together! To book your personal session please click the link below and input the session rate you want. For sessions already performed, where you are given a different amount than the standard fees, you may enter that. Every 4th of Tuesday of the month. 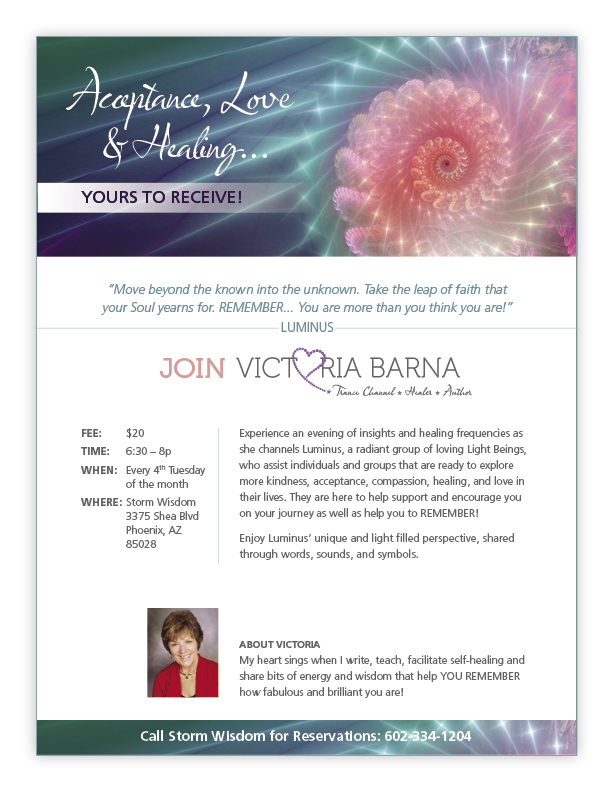 To Register call Storm Wisdom at 602.334.1204 or click here. Every 2nd of Tuesday of the month. 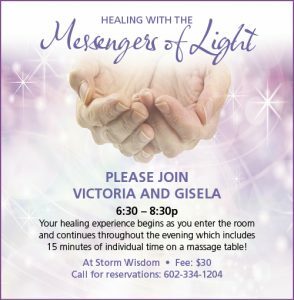 To Register call Storm Wisdom at 602.334.1204 or click here.